The newly launched Tetra Pak Plant Secure is a total plant management service that is poised to boost customer profitability. Ian Hughes, director service operations, Tetra Pak, tells Food News International more about the service and how it can bring operational gains for food and beverage manufacturers. FNI: How does this new service work? Hughes: Tetra Pak Plant Secure starts with a detailed audit of all the equipment and systems across a customer’s value chain. This analysis enables Tetra Pak experts to identify opportunities and implement improvements across the customer’s entire operations. 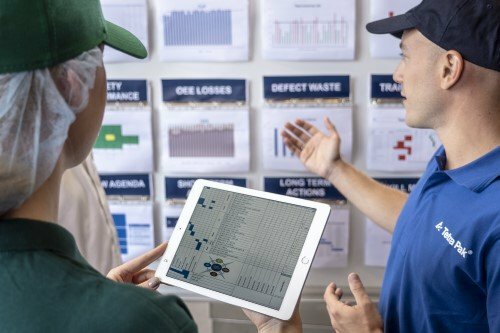 All Tetra Pak Plant Secure contracts are offered with quantified targets on sustainable operational expenditure reduction and capital expenditure optimization. Over the past few years, we have made significant investments in new technologies such as artificial intelligence, automation and data exchange to enhance traceability, predict machine issues and optimize operational performance for our customers. FNI: What are changes does the factory need to make to use the service? Hughes: This service is all about driving factory wide improvements and the level of change is defined on case to case basis. When driving improvements, there will always be an element of change management as we need to review and improve business processes and operating procedures to unlock the benefits of the service. 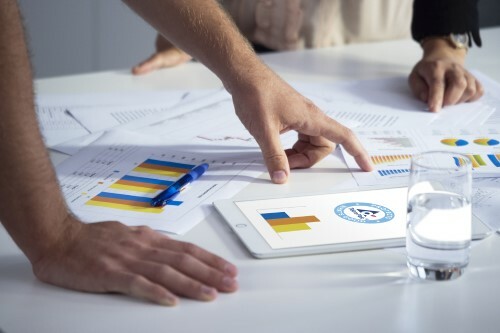 It is available to manufacturers of all sizes across all food and beverage segments, with every contract offering quantified targets on sustainable operational expenditure reduction and capital expenditure optimization. FNI: How is the service ‘game-changing’? Hughes: This service is an outcome-based solution, for an entire plant, developed especially for food and beverage manufacturers. We merge proven asset management methodology with our industry knowledge, to help manufacturers drive productivity and secure a sustainable business. Our team of practitioners take a company-wide approach, ensuring that activities on the factory floor are aligned to financial goals. The result is lowered total transformation costs and increased return on invested capital. We are so confident that we can ensure these savings, we stipulate that we will only take our fee when we deliver the business results agreed for each individual customer at the start of the project. FNI: How long does the service takes effect in a factory? What are the milestones? Hughes: Tetra Pak Plant Secure is a solution customized to deliver business value related to the specific needs, challenges and objectives of each individual customer. Therefore, we define and agree targets and milestones in line with our customers’ objectives on a case by case basis, balancing risk and opportunity for both parties. This service is now available to all food and beverage companies around the world. Pilot projects have been carried out in the Americas and in Europe, delivering results that are above customer expectations. For example, an Americas-based dairy producer reduced operational costs by more than 10% in the first year of implementation and the project continues to deliver further savings.